These two fishing folk have caught something very special. 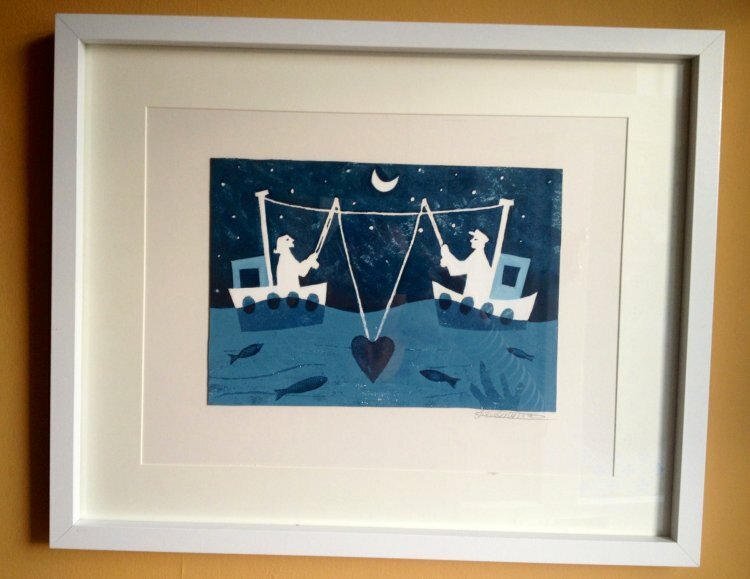 Price is for the original hand printed artwork in the mount, frame not included. Acrylics on acid free card.